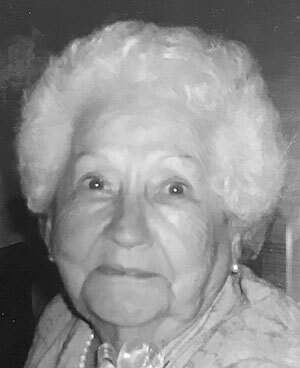 EAST LIVERPOOL – Eva Jean Kelley, 93, of East Liverpool, passed away Friday, Nov. 2, 2018, at Gardens at Liberty Park Assisted Living in Streetsboro, Ohio. Born Aug. 10, 1925, in Calhoun County, W.Va., she was the daughter of the late Normas E. and Stella (Vanway) Stump. In addition to her parents, Eva was preceded in death on March 16, 1993, by her husband, Ralph Kelley, Jr., whom she married March 3, 1946. She was also preceded in death by her son, Michael “Mick” Kelley; two sisters: Lucille Thomas and Bertha Petrucci; and four brothers: Normas Jr., Odell, Thomas and Isaac Stump. Eva had been employed as a clerk in a pharmacy. She was active in the Order of the Eastern Star, the Social Order of Beauceant, and the Order of the White Shrine of Jerusalem. She was a member of Bible Baptist Church in Wellsville. Survivors include one son, R. Wayne Kelley, of Sagamore Hills, Ohio; and five brothers: Bernard Stump and Richard Stump, both of Mt. Morris, Pa.; Milton Stump of Ft. Lauderdale, Fla.; and Loren Stump and Terry Stump, both of Morgantown, W.Va. Also surviving are four grandchildren: Zachary Kelley of Los Angeles, Calif.; Emily Lockhart of Stow, Ohio; Patrick Kelley of Monaca, Pa.; and Christopher Kelley of Irondale; and seven great-grandchildren. The funeral service will be held at 1 p.m. Saturday, Nov. 10, 2018, at the Roberts Funeral Home with Pastor Mark Blakeley of the Wellsville First Christian Church officiating. Friends may call from 11 a.m. to 1 p.m. Saturday at the Roberts Funeral Home, 631 Main Street in Wellsville. In lieu of flowers, the family requests that memorial donations be made in Eva’s name to: Bible Baptist Church, 42862 state Route 39, Wellsville, OH 43968.